(HealthDay)—Rock climbing is no longer just for extreme sports athletes and thrill-seeking daredevils. With hundreds of indoor climbing facilities across the United States—plus climbing walls in local athletic clubs, sporting goods stores and even cruise ships—this fun activity continues to grow in popularity. Climbing has benefits for people of all ages. From a fitness point of view, you can expect to get a total body workout. Mental and emotional benefits include enhancing both your problem-solving skills and your self-confidence. It's also a great way for kids to challenge themselves and feel a sense of achievement with an activity they'll find fun. An indoor climbing wall is a great way to learn the basics. You'll be able to experiment with hand and foot holds placed in sequences of varying difficulty and get a feel for the sport. Plus you can usually rent equipment on site until you're ready to make the commitment to buy your own. 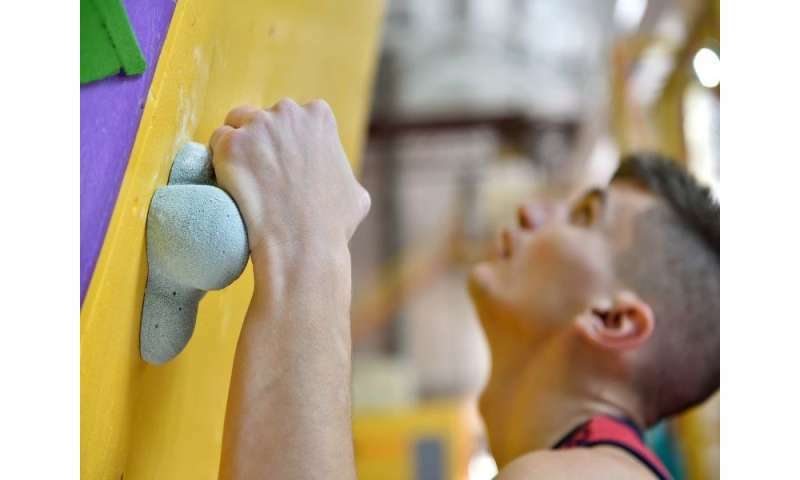 Bouldering is done at low heights and is common at indoor gyms—it's ideal for beginners to start in a safe, controlled environment. Sport climbing is climbing up rock faces dotted with bolts, and it's usually done with a partner. Soloing is climbing on your own, usually without a rope. Traditional climbing involves unmarked routes using your own safety gear. Ice climbing is climbing ice-covered rock faces and frozen waterfalls. You might be surprised to learn that, overall, climbing sports have a lower injury rate and severity score than many other popular activities, including basketball and soccer. Injuries are extremely rare at indoor climbing walls. But do keep in mind that risks will increase with the more challenging variations of the sport. More information: The non-profit adventure organization Outward Bound has more tips on rock climbing for beginners.